Renovado - Apartamento A - Gran área - Playa - Greenport - Ferry - ¡Restaurantes! Esto es para un solo apartamento. Precios y noches mínimas pueden variar según la temporada. Por favor envíenos un mensaje para asegurarse! Cerca de bodegas y transporte. Autobús S92, Hampton Jitney, Long Island / North Fork / Connecticut Ferries, restaurantes y playas. El apartamento individual incluye 2 dormitorios, sala de estar, cocina y 1 baño. También se incluye WiFi y cable, así como un televisor de 42 "+. Totalmente renovado en junio de 2016 - Se puede caminar a restaurantes, bares, playas y más - Cerrar by to Ferries - Duplex - Los apartamentos son muy amigables con las familias y están completamente amueblados. Los propietarios son muy amables. Las playas son agradables. Se ofrecen paquetes de bodas, parejas y vacaciones familiares. Very clean. Kitchen new and appliances excellent. Beds comfortable. .
Close to downtown easily walkable. Owner responded quickly to questions. If in Greenport would stay again. Perfect location in Greenport! Super clean, kind gracious host. House was pretty immaculate. House slippers are provided. Close to everything you need in town. Quiet location , but shopping, groceries, bars and restaurants are all just down the block and around the corner. Host was very responsive and prompt in reply! It was a nice place and it was freshly painted. Very spacious,and a lot of room. One thing i would tell owner not to leave half bottle of mouthwash on the sink. He had a nice combo on the door to get in and the door up stairs needs to be fixed and didnt want to shut. Great location located right by all local restaurants and bars. The apartment was very clean. Landlord was extremely responsive. The furniture and decor can use some work, reminiscent of a college apartment. Bathroom was excellent and large, amazing shower and mattresses were very comfortable. Highly recommended for a short stay ! 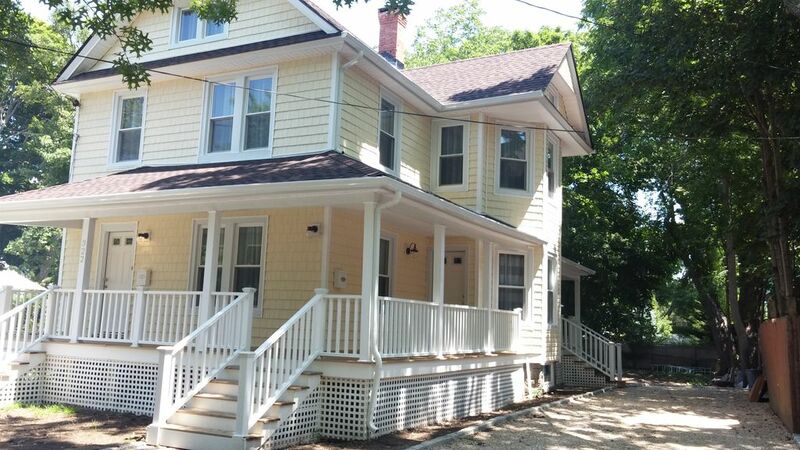 You will enjoy staying in this renovated home right in the heart of Greenport. Walking distance to all of the restaurants and shops. The house is newly renovated and clean. The downstairs apt has two bedrooms. One with a King and other with a Queen. Plenty of closet space and lounging area in the living room. Compared to other rentals, this home is very affordable. Please contact us before rental.